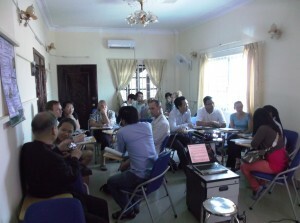 This is the view of the ministry in Cambodia that we can explain in our blogs, newsletters, and presentations. God’s perspective, which defines “who we really are,” is the most important perspective. Other people may not understand us. We may not even understand ourselves, but God knows who we really are because He created us. We often feel discouraged because we feel unworthy to be used by God but our feelings do not define God’s reality. We do not need to waste time asking ourselves, “Am I worthy to be used by God?” Instead we should ask, “Is God worthy to use me?” The answer to the first question will often be “NO, we are not worthy.” but to the second, will always be “YES!!! God is always worthy.” God alone has the right to define, refine, transform, direct, control, and use our lives for His purposes. He is always worthy to use our lives for His perfect plans and in His perfect timing. 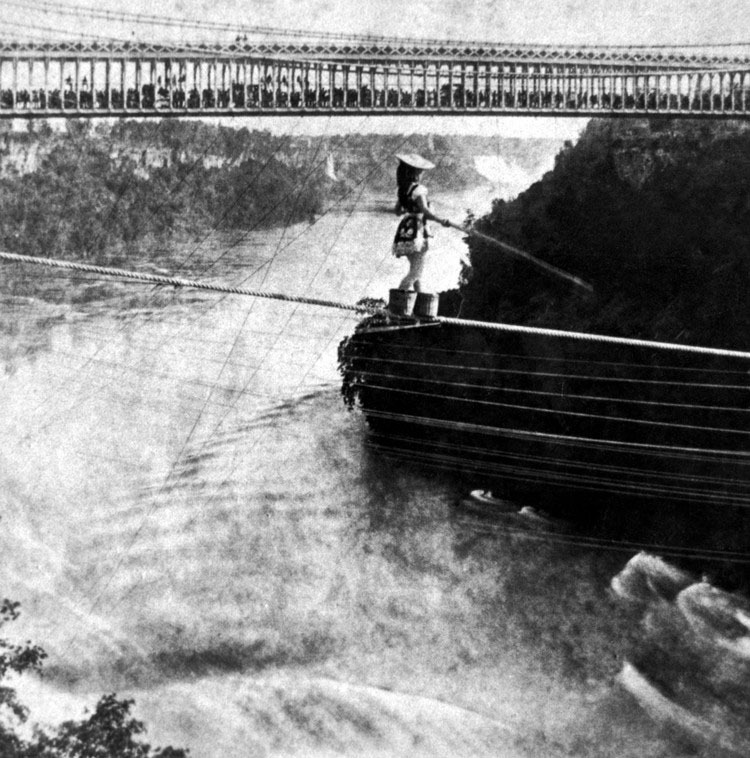 As missionaries, Kayo and I often feel like we are stumbling across a tightrope over Niagara Falls with two buckets on our feet. We often feel like one more trial, illness, or stress will knock us off the tightrope. This is just our perspective but we are thankful that it isn’t God’s reality. If we could see God’s perspective, we would see God’s Hand placing us on the wire and keeping us from falling off. Even when we fall, God is able to catch us and restore us. All we need to do is to keep walking. Our family has been experiencing lots of illnesses. At the moment, Darryl has completely lost his voice so he can only write. We are thankful that God has strengthened us and sustained our health so that we could complete the tasks of the season. Looking back, we realize that for the past 12 months have been very intense. A year ago, our family was traveling around Japan speaking at churches. Since returning to Cambodia in June 2012, Darryl’s book was published and his radio program started its broadcast cycle. Kayo cut her finger and then she started playing the flute with the worship team. 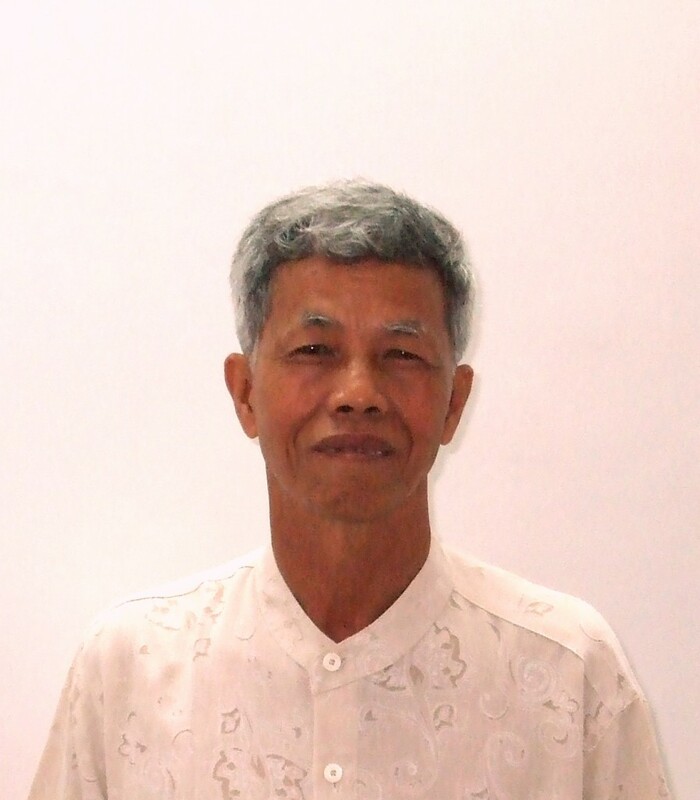 Darryl became the Vice President of Trinity Institute of Cambodia (TIC). Benjamin started preschool 3 days a week. Kayo performed at the You’ve Got Talent show. Darryl taught and marketed classes at TIC. Then, TIC moved to a new location on the top floor of Gateway Cafe. 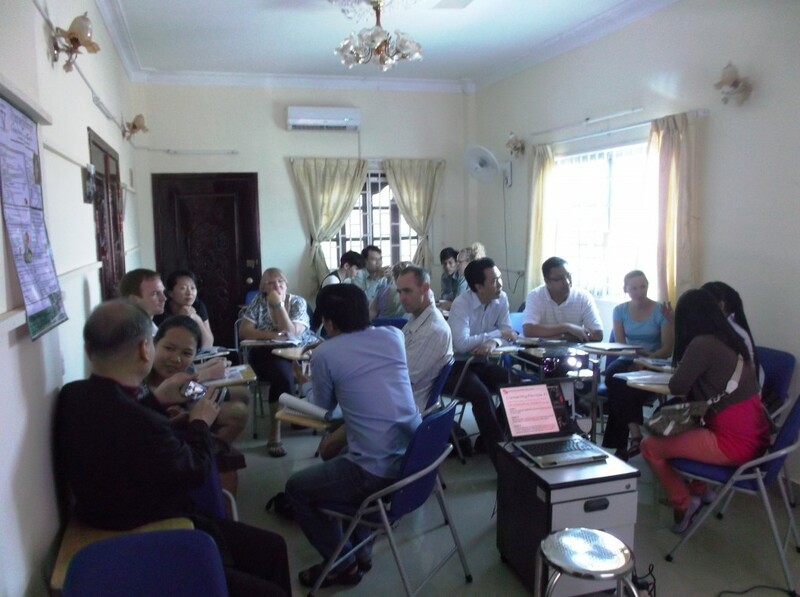 In December, Darryl taught a 2 week Apologetics Course at Cambodia Bible Institute. In January we hosted a team from CC La Mirada and Kayo joined the Belle Voce Community Choir. Darryl had to get TIC ready to host classes in February and March. In February, Benjamin started riding the school bus 5 days a week to preschool. 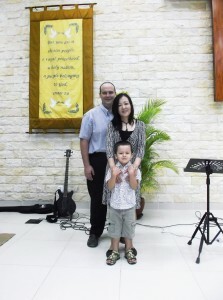 Kayo started co-hosting the Japanese Life Group and resumed Khmer language study. Darryl led the effort to recruit students for an English Class, a Marketing Class, and an Entrepreneurship Class and 3 more 1-day workshops. Now, Kayo is continuing her roles in worship team, community choir, Japanese ministry, and language study. Darryl has been busy doing the behind the scenes administrative work for the classes and workshops at TIC along with helping to arrange strategic partnerships with other organizations and individuals. We sense that God is leading us to slow down and take some time to “lie down in green pastures” so that we can be refreshed and ready for the next season of ministry which will begin soon. A John Maxwell Leadership Communication Workshop at TIC, led by Benjamin Goh, a Certified John Maxwell Coach and Trainer. TIC is just beginning to bud. It is like a young tree that has just broken through the soil and is now “above ground.” God is granting us favor by allowing us to build relationships and partnerships with other organizations, ministries, and churches in Cambodia. an extremely long and complicated process of obtaining official registration, recognition, and accreditation with the Cambodian government. Please pray for wisdom, strength, health, and favor for him as he leads this effort. If this process is successful, TIC will eventually receive official approval from the Prime Minister and the King of Cambodia to be a nationally accredited university. After that, we plan to seek international accreditation so that students from TIC can earn their Associate or Bachelor’s Degrees in Cambodia before going overseas to complete their education. We cannot emphasize enough how important your prayers, encouragement, and support are to us. Please pray for a season of rest and recharging for our family. Please pray for wisdom, favor, and strength for all of those who God is calling to take Trinity Institute to the next level. Please pray for strength, wisdom, courage, and favor for Kayo in all of her various ministries. Please pray that God will raise her up to be a bright light for him among the unsaved Japanese expats living in Cambodia. Please pray for continued favor and blessings on Benjamin as he grows in his knowledge and understanding of spiritual things. Please join us in praying for favor, blessings for our senders in the US and Japan and that God will reveal to them how He can use their gifts, talents, and prayers to transform Cambodia.